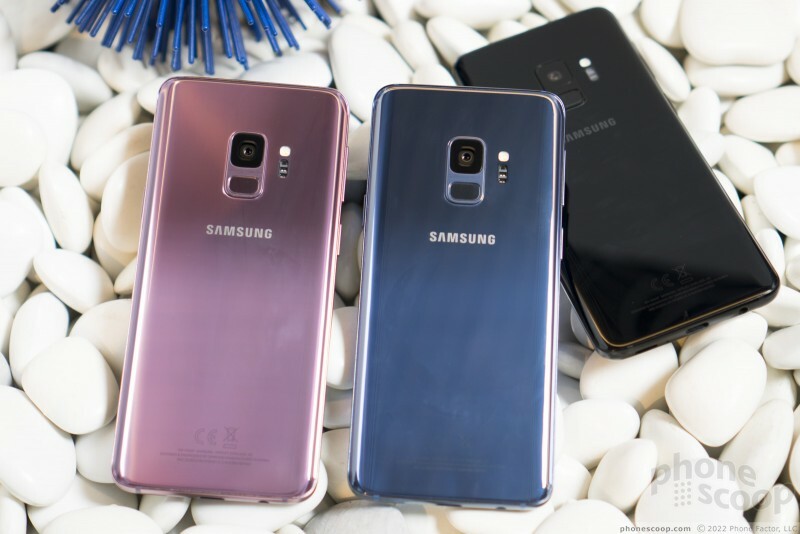 Samsung's new flagship handsets, the Galaxy S9 and S9+, are here and they offer lots to be excited about. 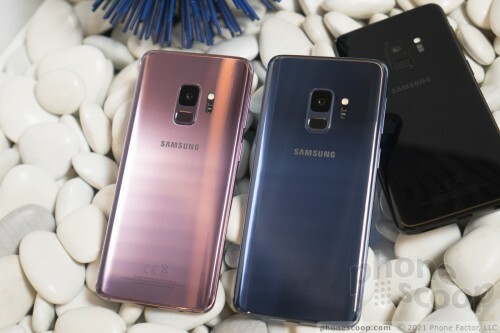 Samsung took the wining design of last year's phones and upped the ante with improvements to the chassis, cameras, and software. The S9 and S9+ are Samsung's most powerful, and perhaps most fun, smartphones ever. Here are Phone Scoop's first impression. 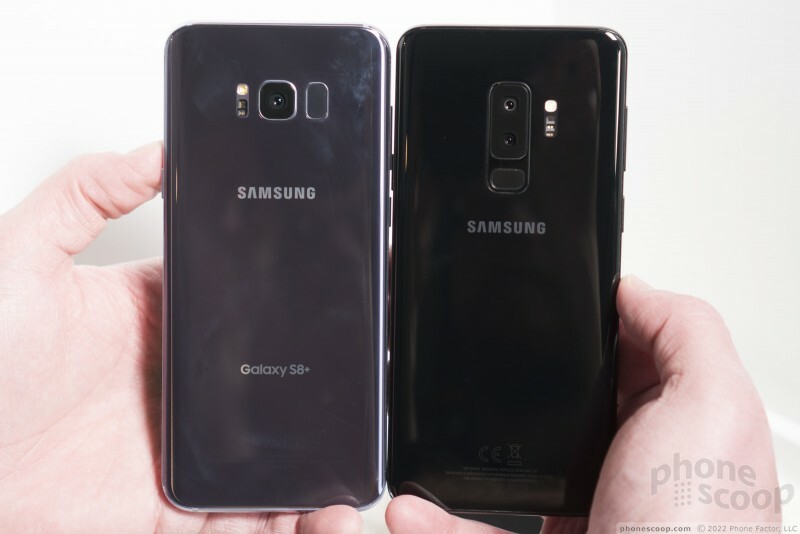 Samsung is back at Mobile World Congress this year with the Galaxy S9 and S9+, which encompass relatively minor hardware and significant software updates to last year's S8 and S8+. 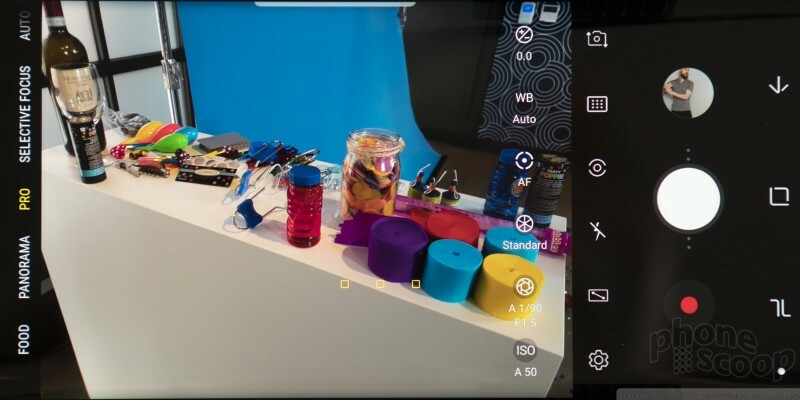 The S9 and S9+ are just as stunning as their predecessors, and push new boundaries within apps such as the camera and DeX productivity suite. 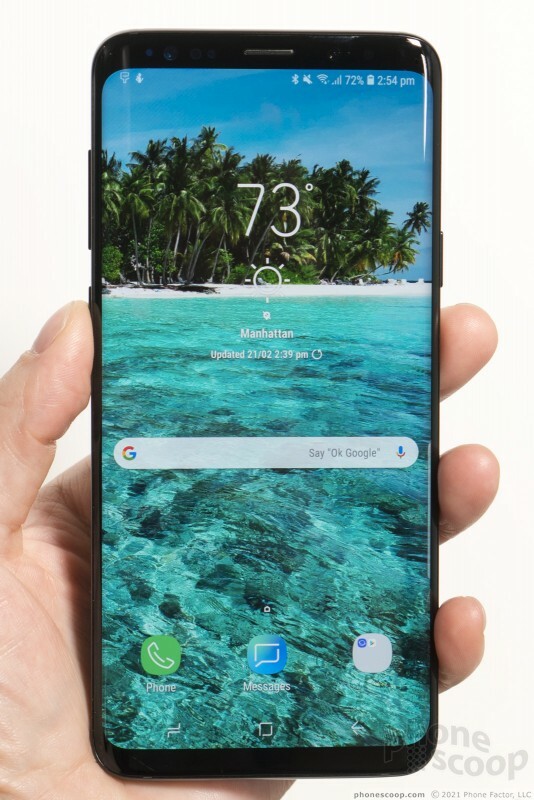 Where last year's S8 was a generational leap forward, this year's S9 takes a good idea and runs further with it. If Samsung were Apple, we'd call these phones the "tock" models, or devices that refine what was available last year. That's not to belittle Samsung's achievements, which are notable and appreciated. First, let's look at that sharp hardware. Samsung has only slightly refined the design aesthetic from the svelte 2017 Galaxy S8. The S9 has a nearly identical shape and footprint. 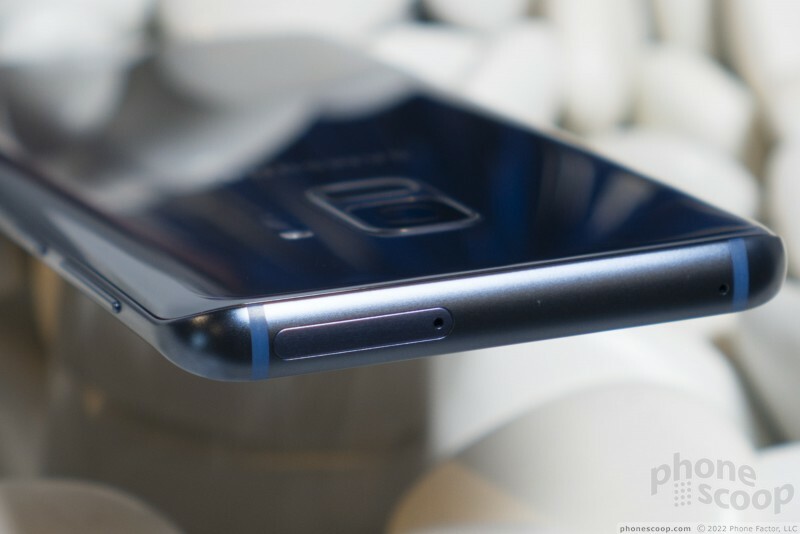 The S9 still has two glass panels, one on the front and another on the rear, but Samsung increase their thickness by 20% for strength. 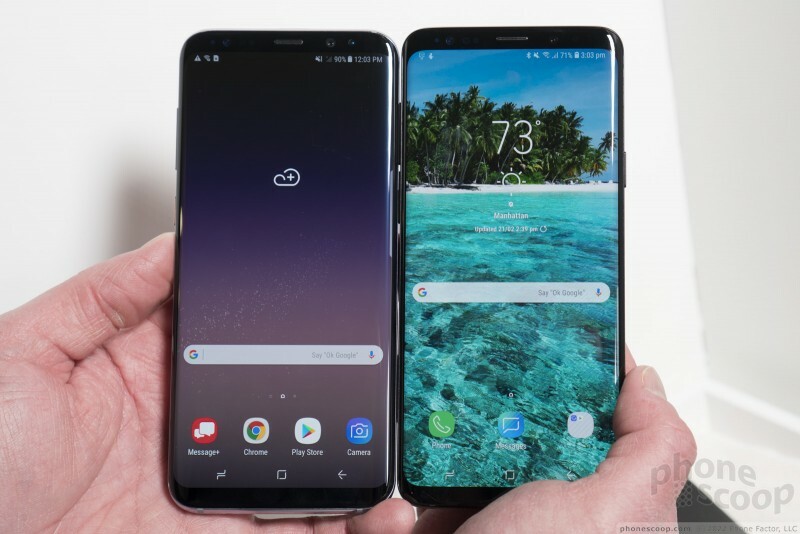 You can tell, as the S9 is definitely heavier than the S8. The metal frame has a new matte finish that feels nice. 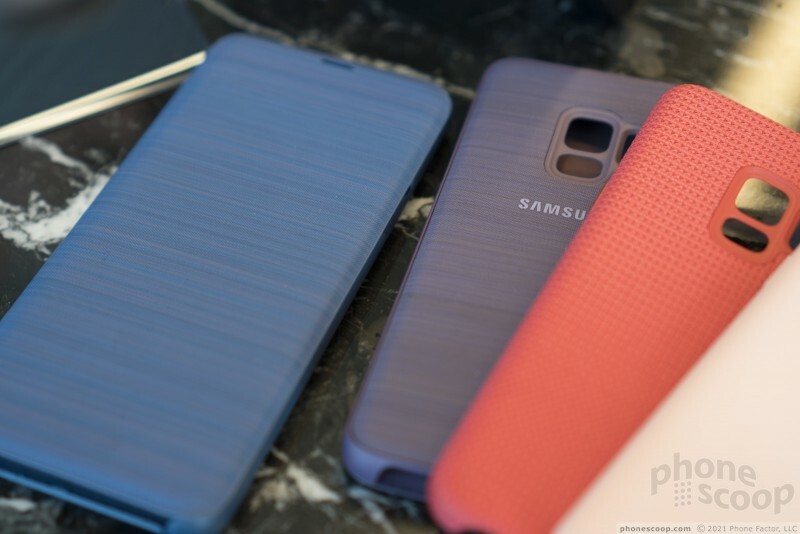 The phone comes in a series of new shades: Black, of course, along with lavender and blue. 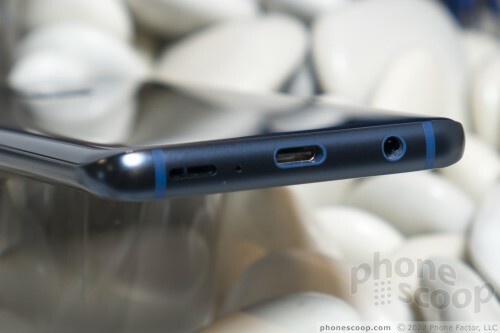 The blue is definitely a bit richer than the blue Samsung offered last year and I like it. Europeans will be party to a silver model, but that shade won't make it to the U.S. The uniformity of the shape, the thin profile, the luscious materials all contribute in making the S9 something to desire. 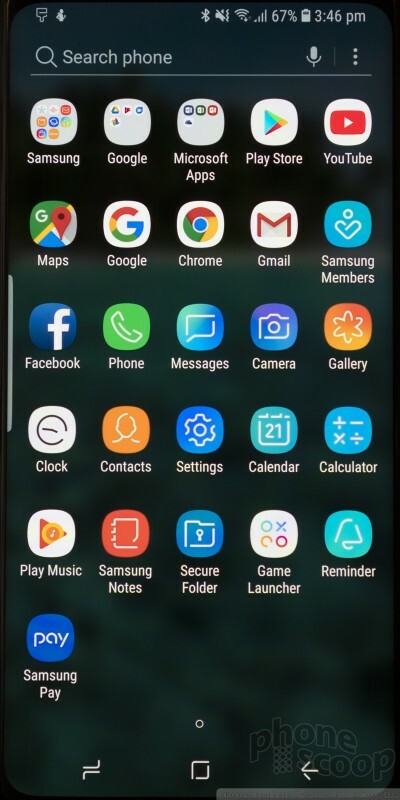 Samsung did not change the screen size or dimensions at all. 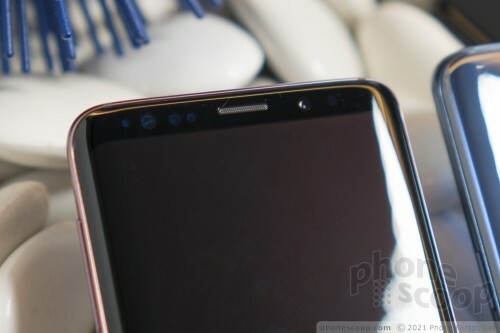 The S9's display measures 5.8 inches from rounded corner to rounded corner, while the S9+'s display measures 6.2 inches. 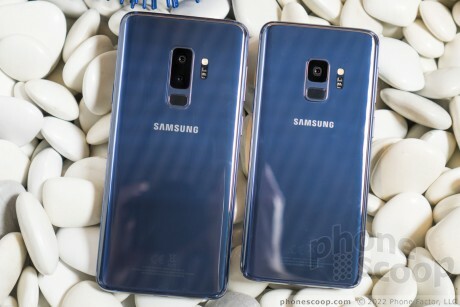 Both phones maintain the same tall-and-narrow profile of last year's phones, which is beginning to look "normal" now that nearly every other manufacturer is offering 2:1 screens. The screens are eye-popping. 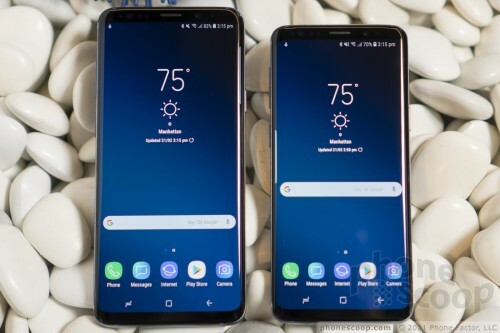 Samsung gave the S9 and S9+ the newest version of its Super AMOLED display. The resolution is second-to-none and the S9 delivers razor-sharp text, images, and graphics. The full resolution (Quad HD+) is outstanding when it comes to virtual reality content, though you can dial the resolution down to full HD+ if you want to save battery life. Samsung has carried over the iris scanner and face detection tools and now merged them into a super biometric feature. 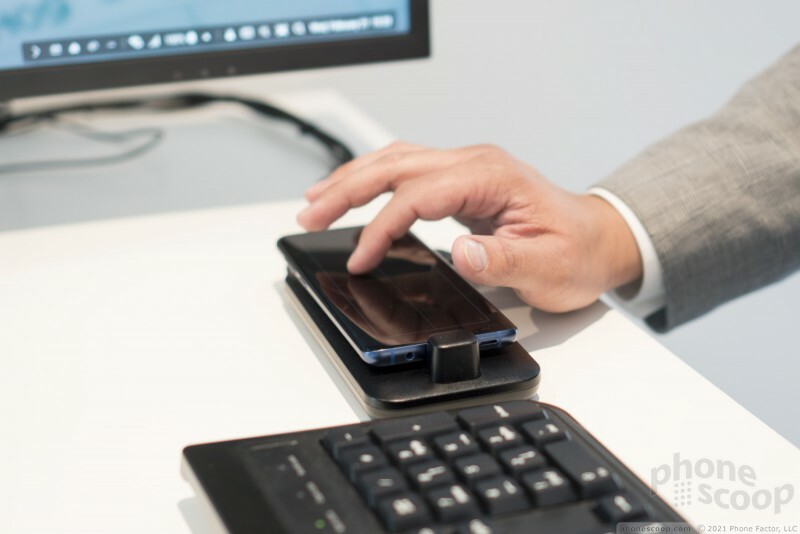 Basically, both tools will work at the same time and whichever recognizes the owner more securely — based on factors such as lighting — will unlock the phone. 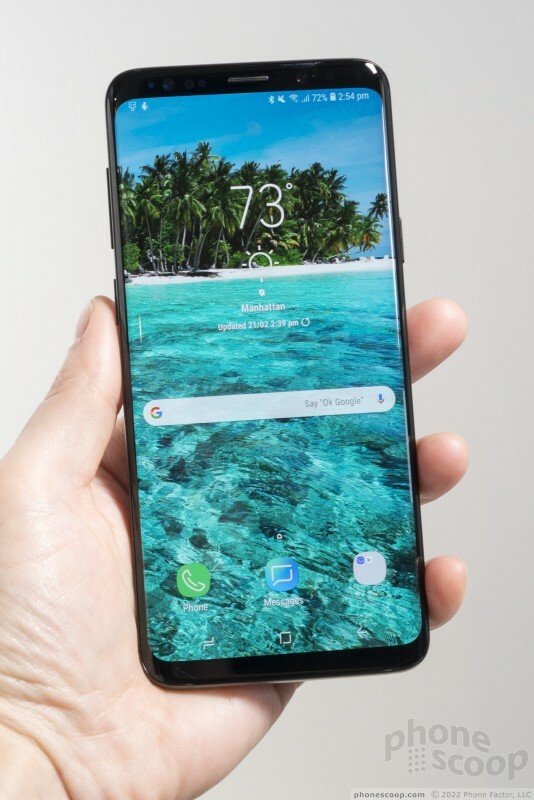 The S9's width, thickness, and rounded profile really help it sit comfortably in your palm. 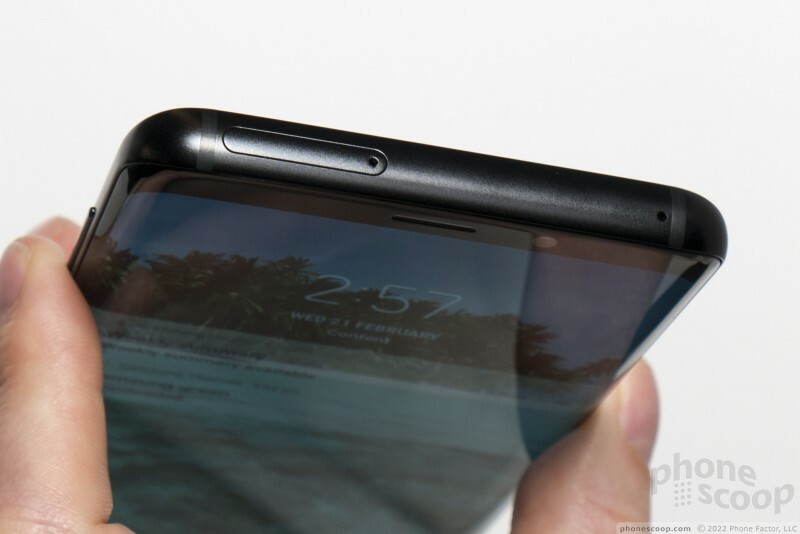 It may have a large screen, but there are essentially no bezels increasing the footprint. 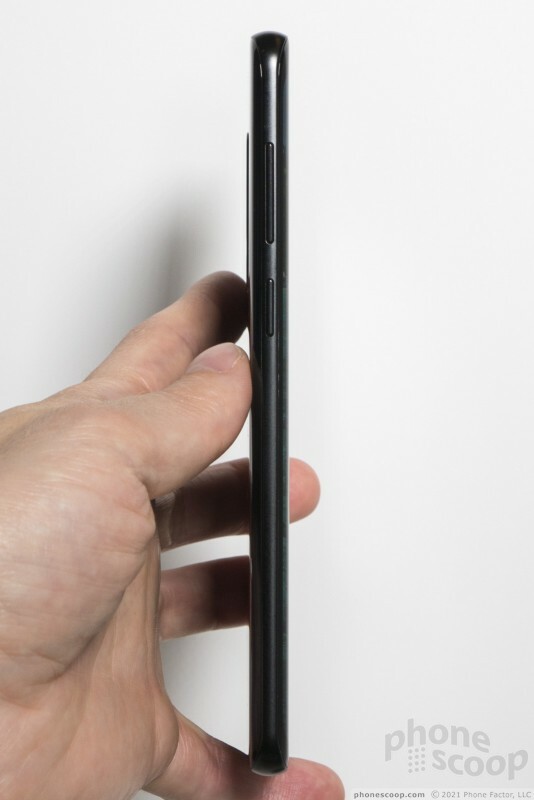 The S9+ isn't *that* that much larger. No other handset has so completely gotten lost in my pocket. You might not remember it's in there. 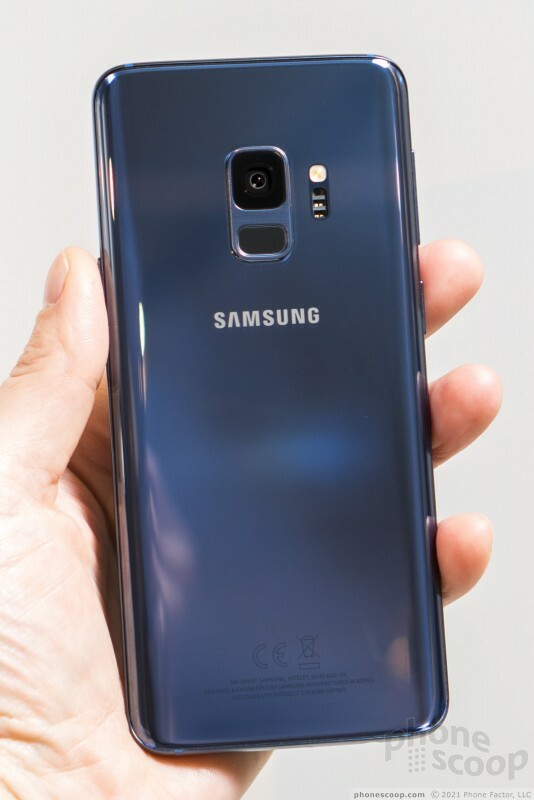 It can be difficult to reach the top of the screen with your thumb; you might find yourself juggling the S9 in your grasp a bit. Still, the majority of people, including those with smaller hands, will be able to use this phone comfortably. The S9 and S9+ are some of the finest phones I've handled. 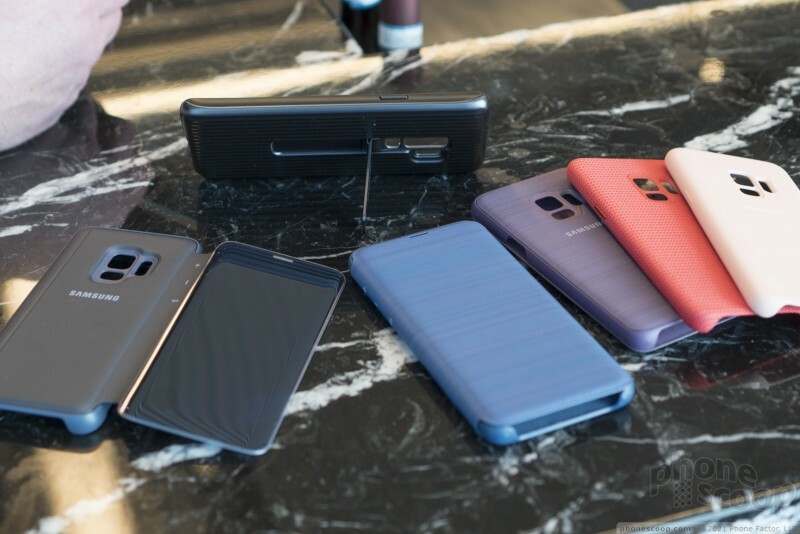 Samsung picked high-quality glass and aluminum and mated the differing materials perfectly. The seams between metal and glass are nonexistent. 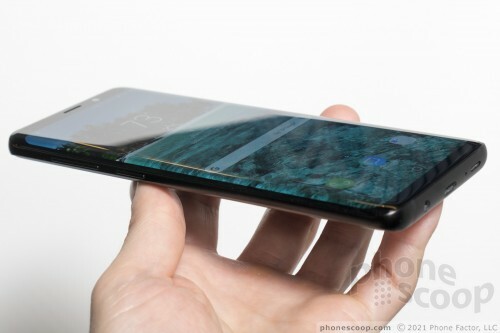 Samsung has fully mastered its ability to curve glass. 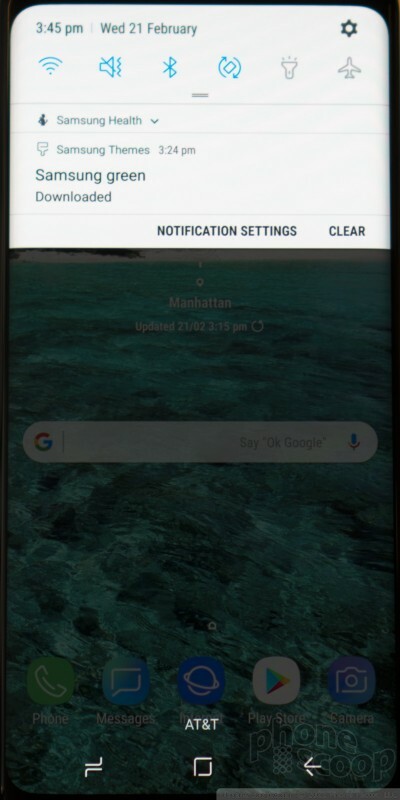 Bezels above and below the display are hardly there. 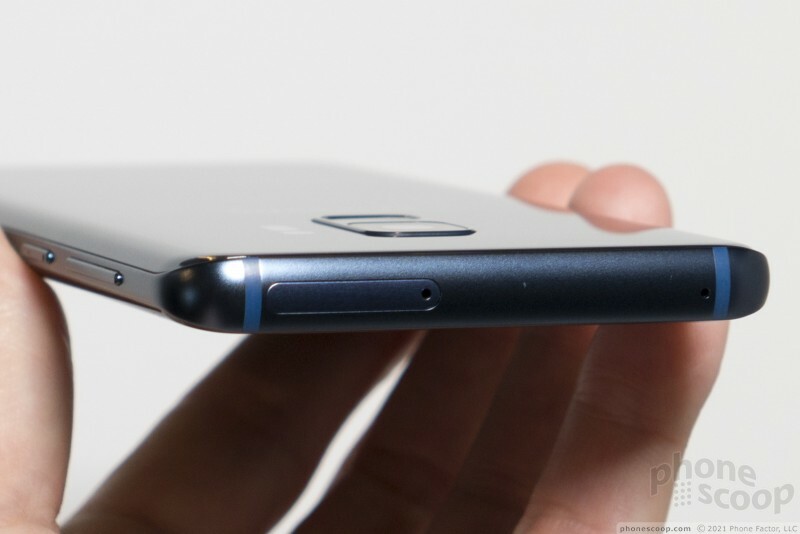 Samsung has eliminated the side bezels thanks to the curved screen. The forehead above and chin below the screen are minimal. 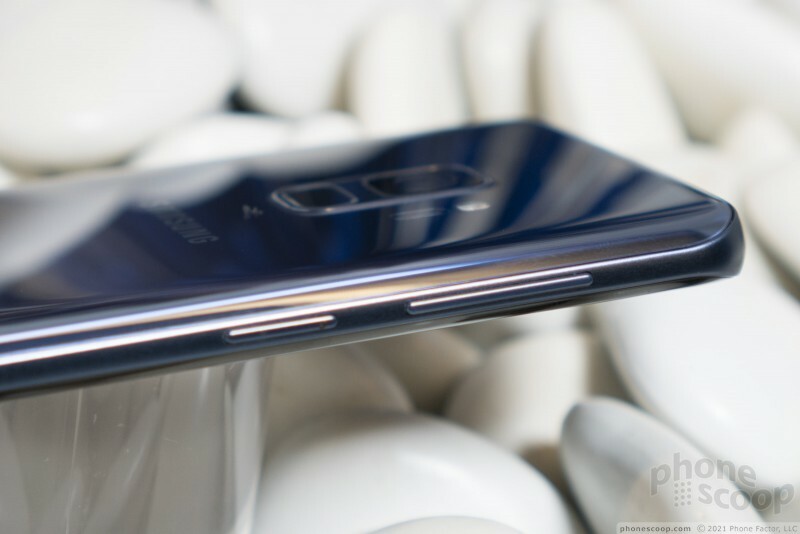 With no interruptions to the glass, the front face is entirely smooth. 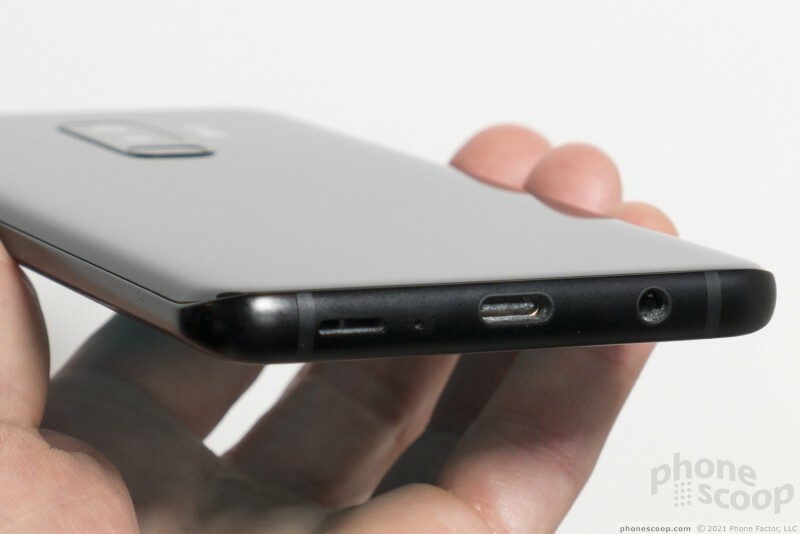 The earpiece grille, iris reader, and user-facing camera are obvious on all but the black model. The frame, which wraps all the way around the outer edge, is only a couple of millimeters thick along the sides, though it swells up at the top and bottom. You may notice some antenna lines, but they are color-matched fairly well. Samsung isn't giving up on Bixby. 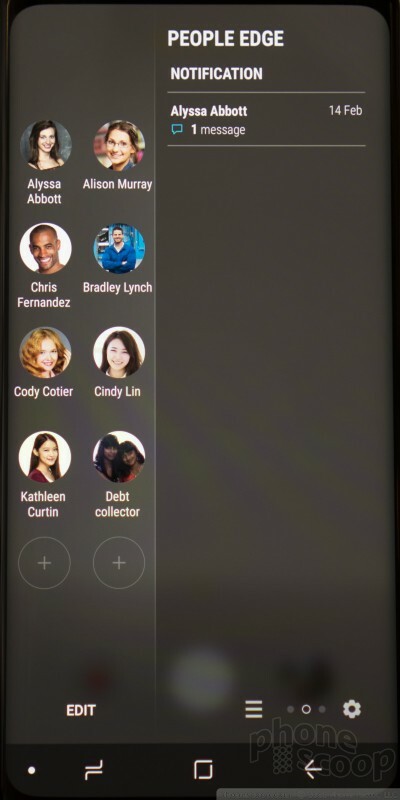 The S9, like the S8, included a dedicated hardware key to launch Samsung's personal assistant. 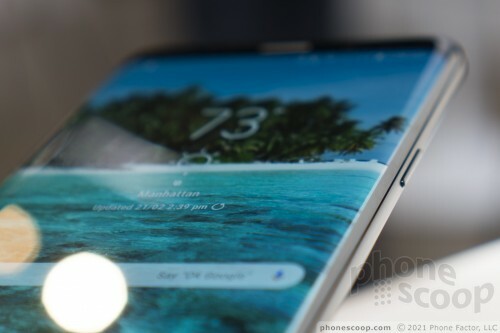 (Samsung was forced to allow people to deactivate the Bixby button on last year's phone. It hasn't said if it will do the same again this year.) The volume toggle is above the Bixby key. It's only about an inch long. 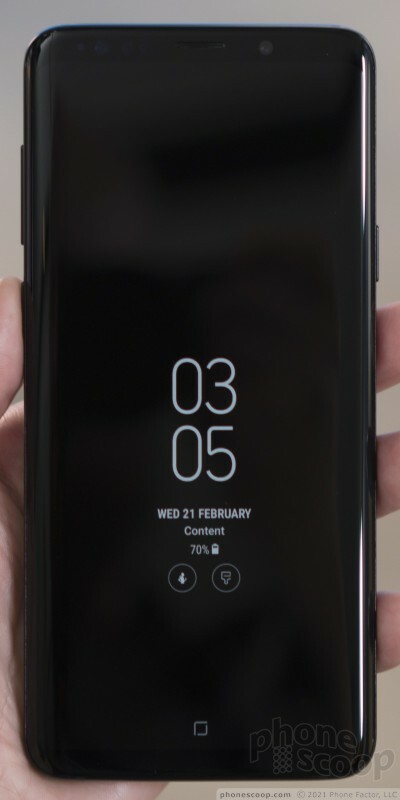 The lock button is on the S9's right edge. All of these buttons have excellent profiles, and perfect travel and feedback. 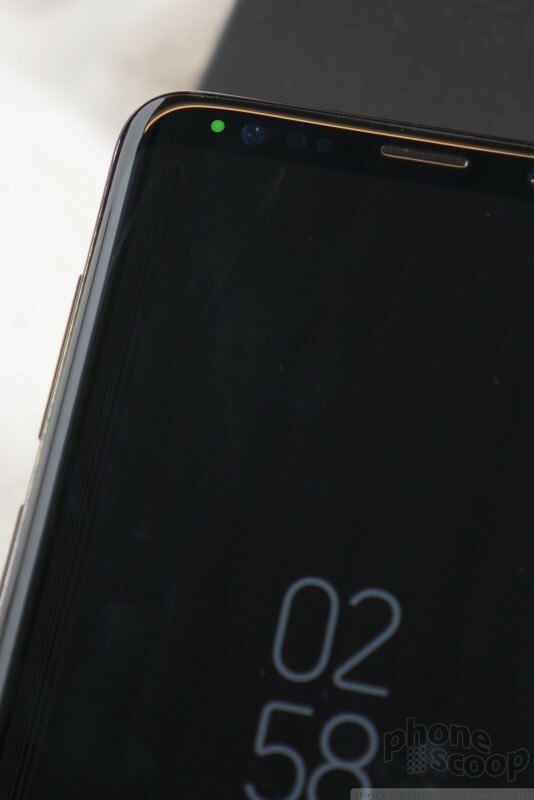 The S9's rear panel is nearly all uninterrupted glass. Like most all-glass handsets, you'll find yourself wiping oily grime off the back constantly. 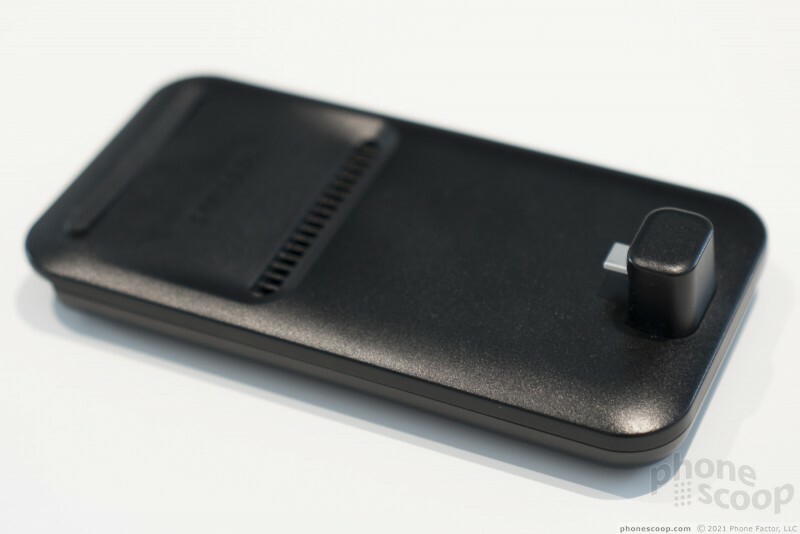 The big change this year is the newly-oriented camera/fingerprint reader module. 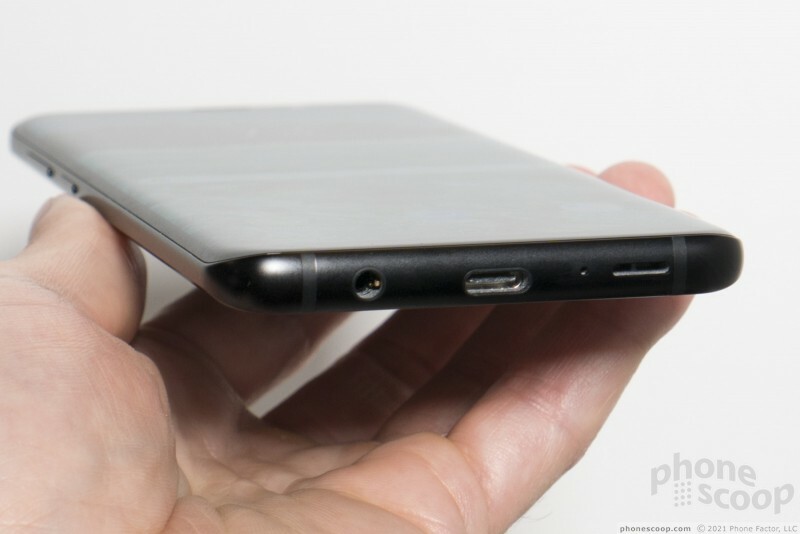 Samsung took all the complaints about last year's phone to heart and rotated the assembly so the fingerprint reader is now exactly where you expect to find it: right in the middle. This is a huge improvement. Samsung still offers a heart rate monitor. 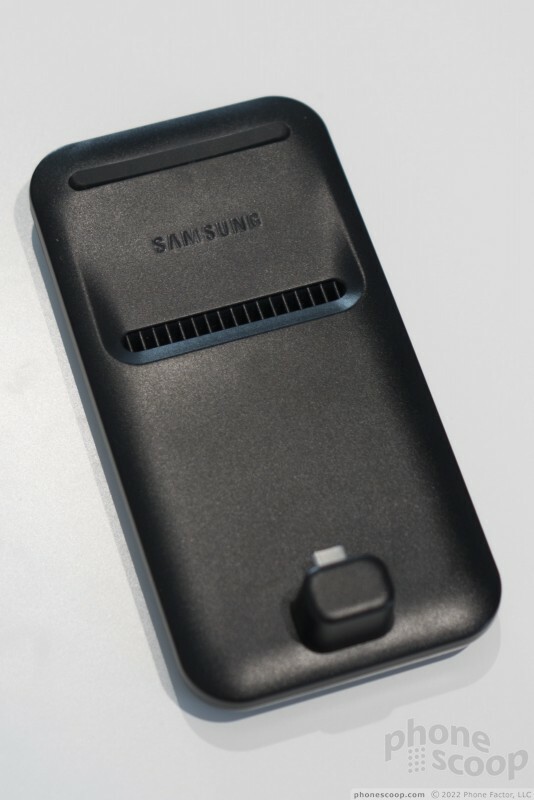 The S9 is rated IP68 for protection against water, dust, dirt, and sand. Technically, it can sit in 1.5 meters (~4.5 feet) of water for up to 30 minutes with no worries. Waterproofing is a table-stakes feature at this level. Both pieces of glass are made from Gorilla Glass 5, but as we found our last year, the stuff still breaks when dropped. 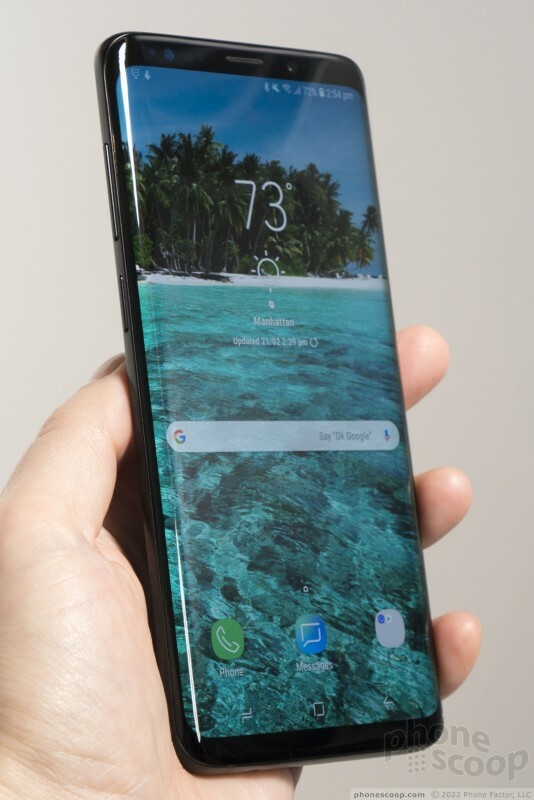 At this point, we've pretty much reached peak smartphone design. I can't imagine phones can get much better than this, at least from a hardware perspective. Thank goodness there's software to make things interesting. The S9 and S9+ make the jump to Android 8 Oreo, as expected, and run pretty much the same version of Samsung's core UI treatment as seen on the S8/S8+. That means you've got lots of Samsung icons, text, and graphics. I didn't see any significant new UI stuff, and that's good news as far as I am concerned. 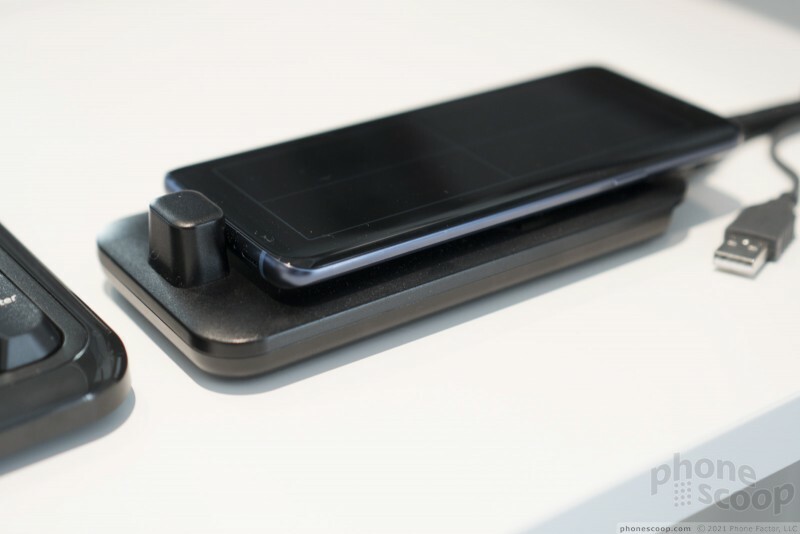 Samsung did improve the software in several key areas, however: the camera and Dex. First up, the camera. 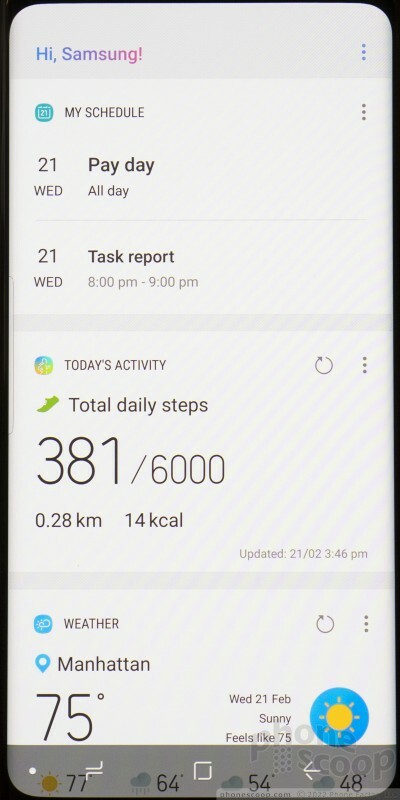 Samsung simplified the UI a bit so it is easier to reach the main tools, such as shooting modes and core settings. This is great. It's now a breeze to swipe from one style of capturing images to another. All the modes are listed on the left side of the viewfinder, with items such as flash and brightness positioned next to the shutter key. Several big, new features are on deck. First, super slow-motion. Samsung copied Sony and embedded a DRAM chip in the camera sensor itself. This allows it to capture data faster and store it in the DRAM module temporarily before writing it to the system storage. This means the the S9/S9+ can shoot slow-mo at speeds up to 960 frames per second (at 720p). This really lets you slow the results down and see amazing detail in the nearly frozen actions. Love it. 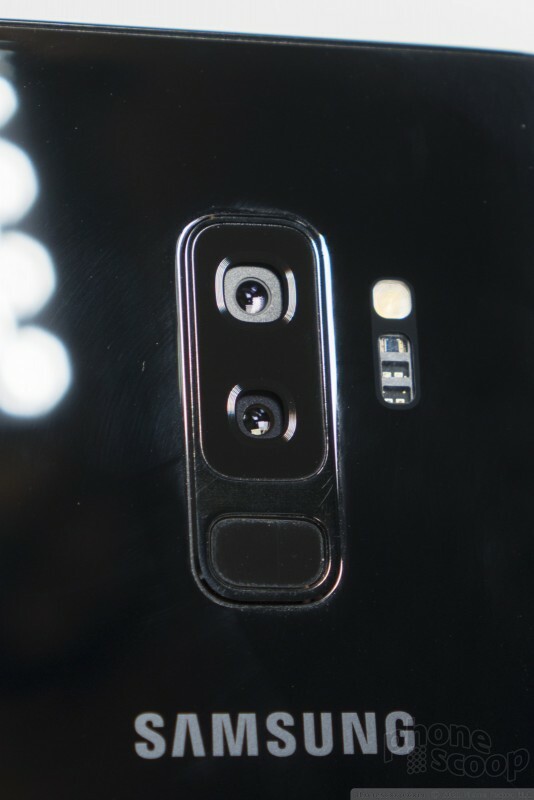 The camera (the only on the S9, and the wider-angle one on the S9+) also has switchable aperture, a first on a phone. By default, it's f/2.4 for sharp photos in good light. In low light, it can switch to an unprecedented f/1.5, the best ever in a phone. It's a real mechanical thing behind the lens; you can see it in action clearly when it switches. It can be triggered manually, or automatically depending on the light. It does indeed capture impressive photos in extremely low light. 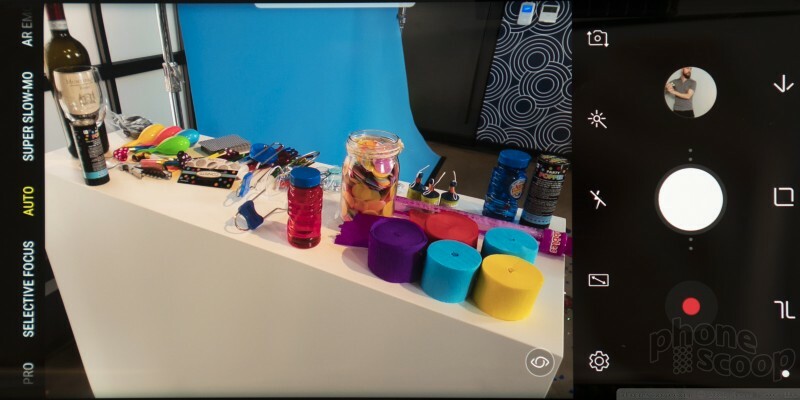 Samsung also went for broke with the augmented reality stuff. 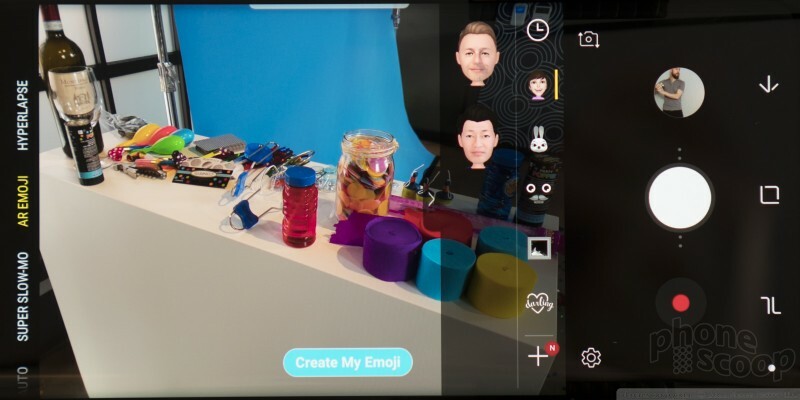 AR Emoji are what Samsung spent the most time talking about. 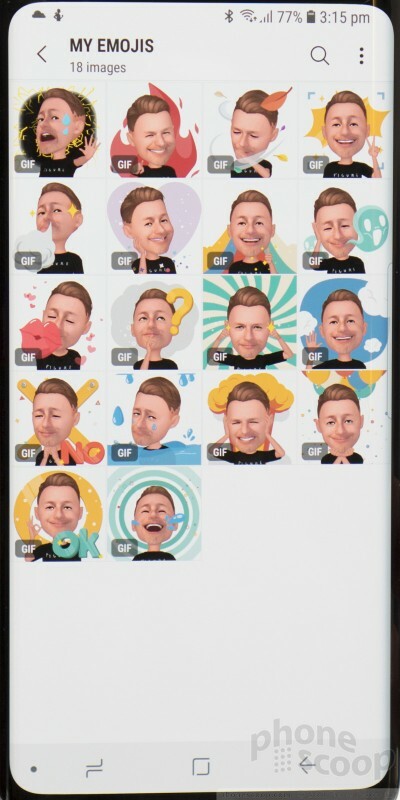 Similar to animoji on the iPhone X, AR Emoji allow you to capture and create a facsimile of yourself. 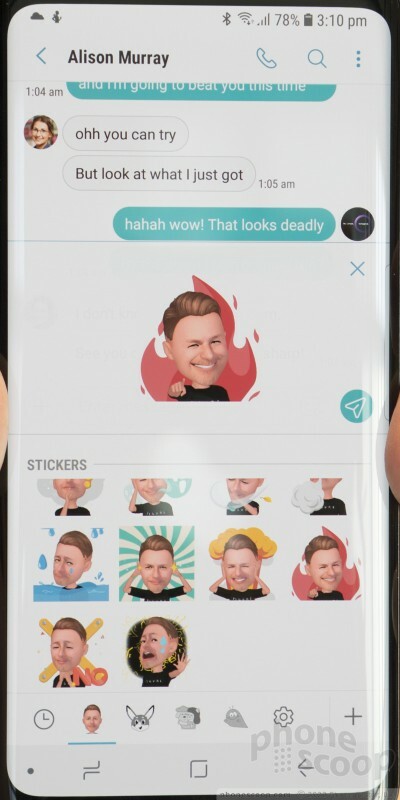 You can create an animated emoji of your own face, which is then applied to 18 pre-created GIFs, such as giving the thumbs up and blowing kisses. It's pretty accurate. You can also animate other objects, such as a devil, or an erase, and several other characters. Samsung says it has deals with Disney, which will soon let you impersonate and animate beloved characters such as Mickey and Minnie Mouse. These are huge fun and will surely make many people happy. I found it was simple enough to use them, though it does take a bit of work. You can then share the creations with just about anyone — including your iPhone-toting friends. The camera gains a live translation tool, too. Echoing what we saw on the Huawei Mate 10 Pro, (and Google Translate,) you can point your S9/S9+ at text in another language and, thanks to Bixby Vision, see a real-time translation of what the text says. The demonstrations we saw showed the feature working flawlessly. I like that it functions without the need to take a picture first and just works nearly instantly. Some of these are made possible by the Snapdragon 845 processor and 6 GB of memory buried under the hood. Then there's DeX. 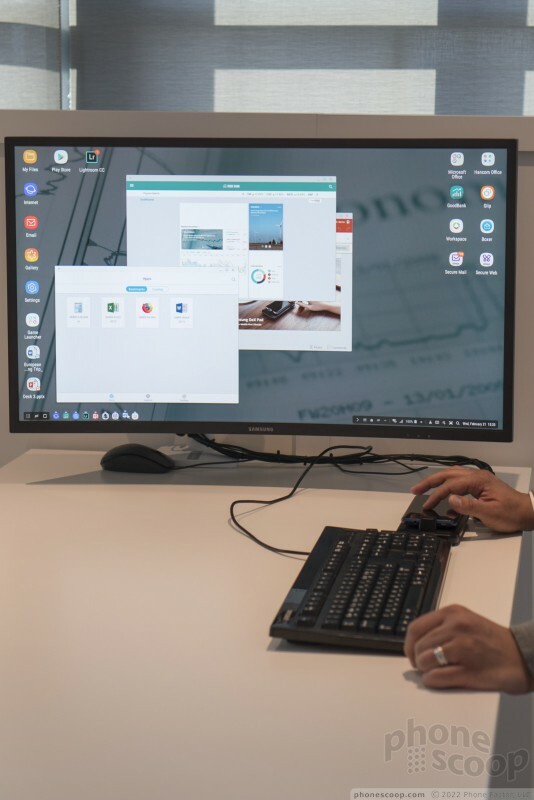 Samsung has improved its productivity hardware and software, allowing the S9 and S9+ to very nearly serve as your work PC when on the road. 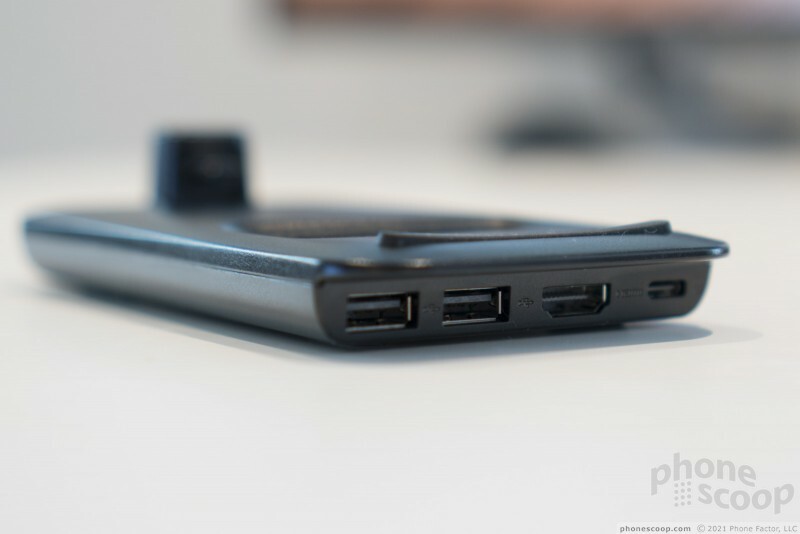 The next Dex dock lays flat, providing you access to charging and the headphone port if desired. With the flat orientation, you can elect to use the screen of the S9 as your keyboard or trackpad, though you can always used Bluetooth accessories, too. 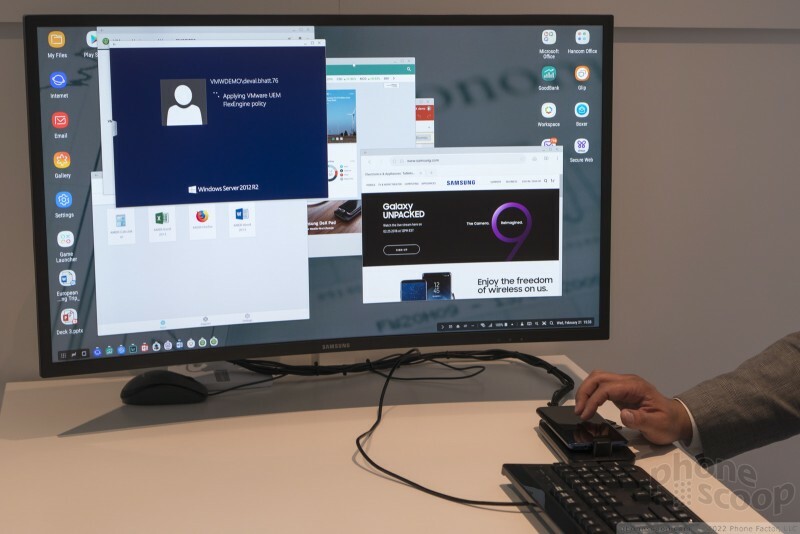 What's more, the S9 and S9+ can utilize the full, native resolution of a full-sized monitor up to 2K, rather than limit the pixel count to full-HD as before. Samsung promises the 3,000mAh battery in the S9 (and 3,500mAh battery in the S9+) will last us all day. The phones support fast charging and fast wireless charging, so that's all good. I was really pleased with the S8/S8+ last year, and Samsung made sure the S9/S9+ are even better. These are clearly some of the best Android handsets in the market and will please many millions of people. They do come at a cost. 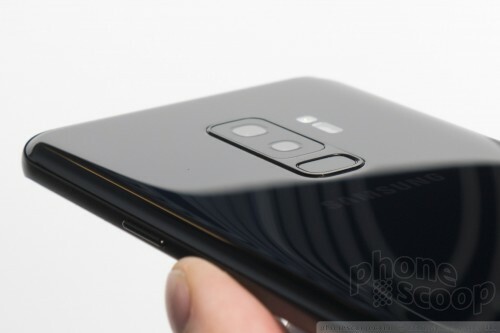 Based on the monthly rates for leasing or puchasing the S9/S9+ from U.S. carriers, you can expect to pay about $799 for the S9 and about $899 for the S9+. That's a lot of scratch for a smartphone, but Apple fans are already paying that much for the latest iPhones. Is it worth it? Sure, if you want the best of the best. 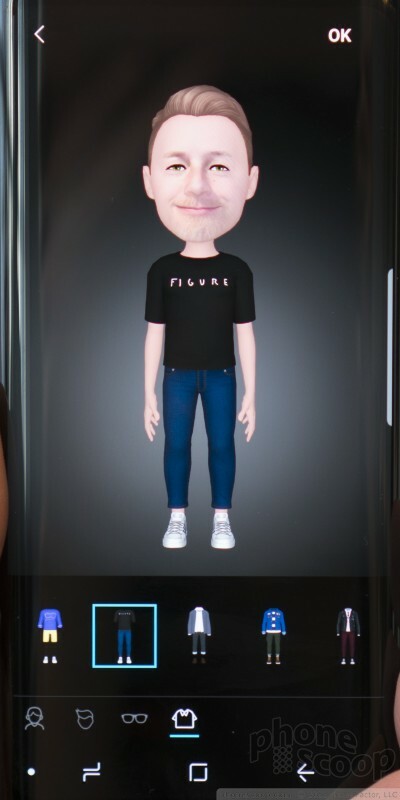 I learned the hard way that the Samsung Galaxy S9+ is breakable. This dual-glass-sided phone is begging for some protection. The Tech21 Evo Tactical case for the Samsung Galaxy S9+ is a semi-rugged option for protecting the expensive S9+. 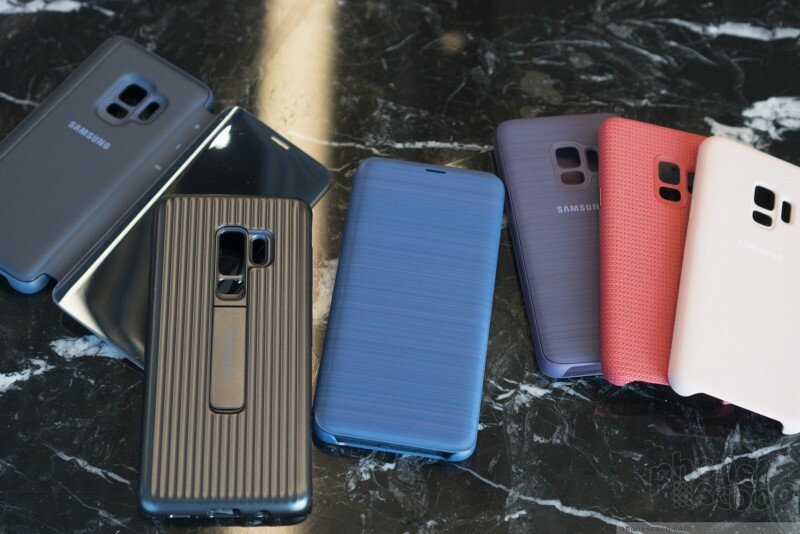 Not only does the case have a cool name, it has a modern design that gives it a unique look. Samsung's Galaxy S9+ has a powerful camera that allows you to really flex your creative muscle. We spent an afternoon strolling La Rambla in Barcelona experimenting with some of the camera modes. In the world a mobile phones, Mobile World Congress is the main event. Taking place each year in Barcelona, it's where the world sees what's in store for phones and networks that year. 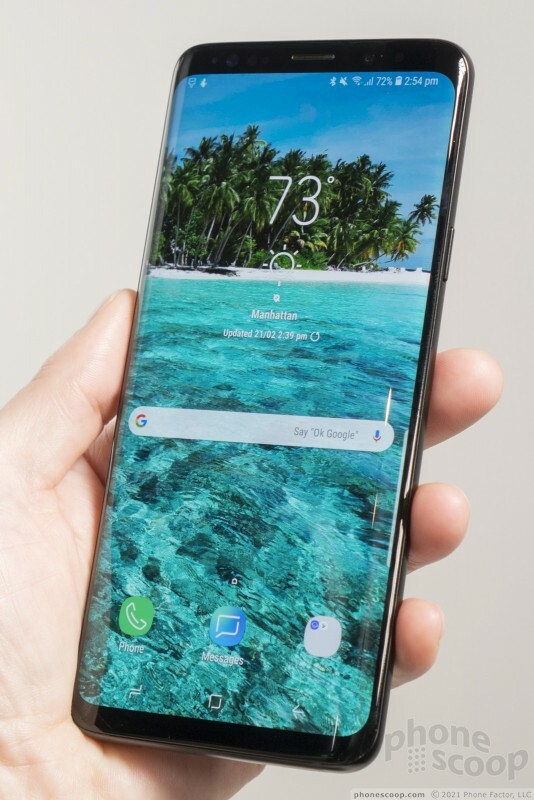 Samsung's flagship handset is here and it's a curvaceous, complex piece of consumer electronics. 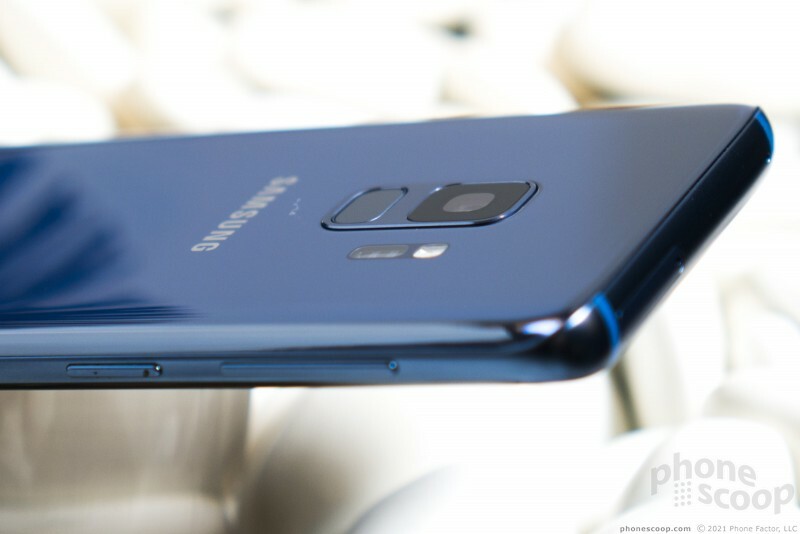 The Galaxy S9+ seemingly has it all: the good looks, the high IQ, and the killer skill set that sets it atop the Android pedestal.